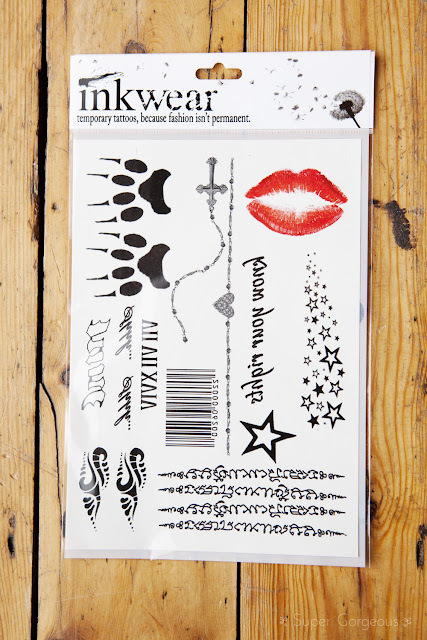 These are temporary tattoos from Inkwear - good aren't they?! 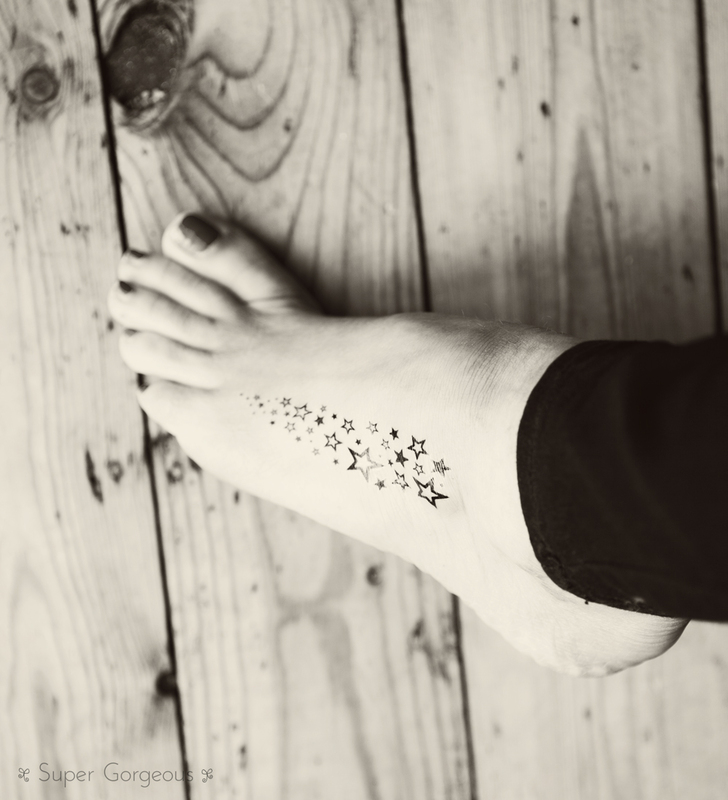 They do a whole range of temporary tattoos for adults - whether it be for fancy dress, to try it out before you get the real deal, or just like the idea but don't want the permanency, these are the solution! They work in just the same way as fake tattoos as a child - remove the backing paper, pop the tattoo where you want it, and press on the back with a damp cloth, and voila! They sell single tattoos or packs, the one I was sent was the Celebrity Tattoo pack, which has all our favourite celebrity tattoos in one package for £6.99. The only problem is, now I'm quite tempted to get a real one, arrghhhh! Oh what a great idea. 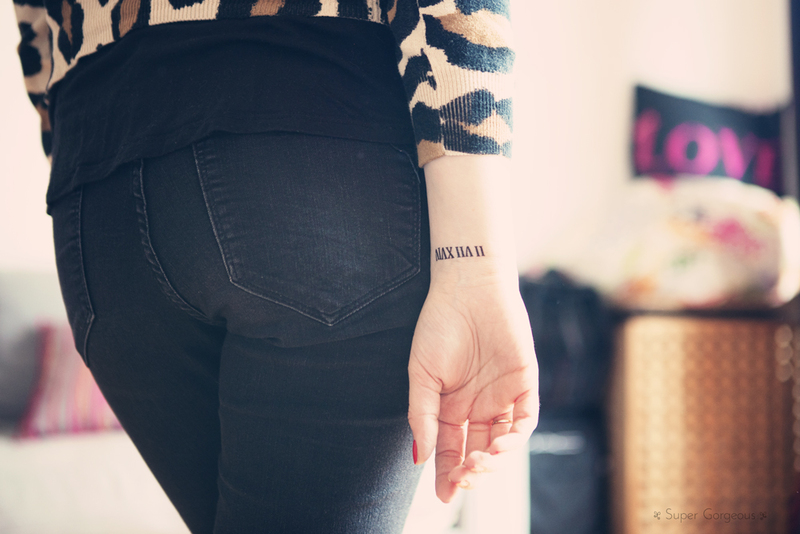 Turning the childish temporary tattoo into an adult idea is brilliant! I keep thinking of getting a tattoo at the moment so this might be a good way of seeing if I'd actually like one. So tempted to get these now, they look like a real tattoos so much. Very cute and your pics rock! i love these tattoos so much! !